If you have landed here, you are probably asking the same question. A quick easy answer is to say that self-publishing companies to avoid are ones which will not fit the needs of your self-publishing project. 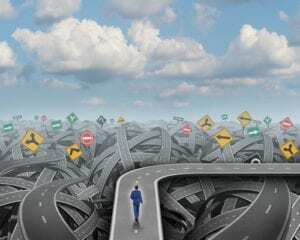 This article will help you select the best self-publishing companies for your book publishing projects and how to be aware of particular self-publishing companies to avoid. So-called “self-publishing” companies are really just print on demand companies. Many offer extra services, but they are secondary. To get a more clear understanding of what self-publishing or print on demand really is and what other publishing terms mean, see the Dictionary of Publishing Terms. 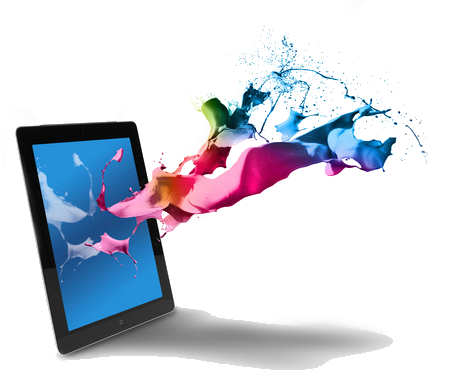 Selecting a print on demand company or printer is only one step in the self-publishing process. If you have decided to publish a book yourself, understand that it is the equivalent of being your own general contractor for building your home. Selecting a printer to publish your book would be like selecting someone to pour the foundation, put on a roof, or frame up the house. It is but one piece of the entire picture. 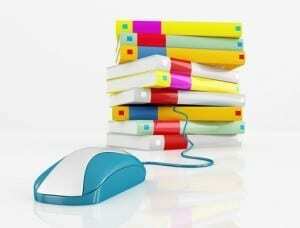 Selecting the best printing company to print your book depends entirely on the type of book you are going to publish. So the “worst self publishing company” will be one who least likely matches the requirements of your book project. If publishing a four-color hardback illustrated children’s book, you will want to select a different printing company (“self-publishing company”) than if you are printing a black and white paperback. To learn more about the basic steps of how to publish a book, read the other articles on this site. What is the purpose of my book project? Is it to sell lots of books, sell books online, sell books in person, enter the speaking circuit, give workshops using the books, or to leave a legacy for your family? Will you need a small, or large inventory of books? Is your budget tiny to small? If so, you will want to consider a print on demand method; books are printed as sold, with no inventory needed. How important is quality of printing and paper? If your book includes high quality four-color illustrations or photos you will need a different kind of printer, than if you are publishing a normal paperback book. Will I have illustrations inside the book?Will I need four-color inside the book? What level of printing quality will my book project need? What size will my book be? Will it be a custom-size or a standard book size? Look no further. This potent DIY learn-by-doing publishing guide grants you the time and know-how. Learn to how to self publish a book by actually doing it! Once you become a published author friends, family, and peers see you in a whole new light! 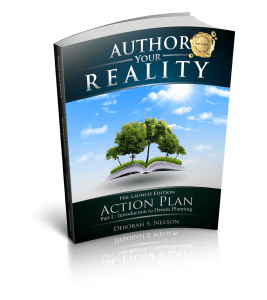 This unique system propels both aspiring and seasoned authors step-by-step through the digital publishing process. You won’t even need your completed manuscript to start! I am looking up and thoroughly researching every process of self-publishing in preparation for publishing my first book. Admittedly, I’m very cautious and antzy about what the next step is. In truth, I’m not entirely sure where I should go from here. I’m working on editing my final manuscript, but I’m not sure if I should pay for a professional edit before I try to publish. I’m also concerned about choosing the right self-publisher or if I should do it entirely on my own. Maybe it’s the excitement and nervousness that’s confusing me. Any suggestions or advice is greatly appreciated. Thanks! Thank you for you comment, Brooke. First of all, excitement and nervousness aside, self-publishing is confusing. The most confusing thing about self-publishing right now is terminology. There are many thousands of so-called “self-publishing” companies, and when in reality, these companies are mostly just printing companies. A lot of them offer the additional services (and pricey, I might add) needed to publish, such as content editing, copy editing, proofreading, book cover design, etc., but the reality is that if the author of the work is bringing the book to market, the author is the “self-publisher,” not the printing company. Also keep in mind the difference between “printing” and “publishing.” These are NOT the same. This is where the Dictionary of Publishing Terms might come in handy for you, free on our site. Just keep in mind if you are not signing with a traditional publisher, YOU are the self-publisher. YOU are the one who makes all the decisions as to whom to outsource the various processes. One of the best first steps you can take if you are self-publishing your own book, is The Intent to Self-Publish Agreement, which we offer for free on our site. What can also help you tremendously is my Self-Publishing Checklist. It is on the site. 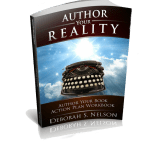 It tells you all the steps and what order you might want to take to self-publish your book. 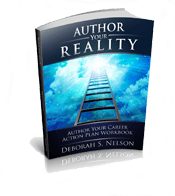 Since I have taken writers to authors and 100 books to from idea/manuscript to published, I am excited to share tools and tips to those who wish to self-publish. 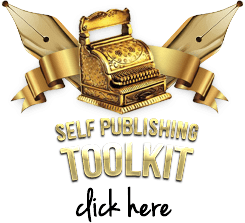 I also offer a self-publishing toolbox for just $7 that will be sure to get your started off on the right foot and save your hundreds of dollars and hours of frustration of not-knowing something key to the process! 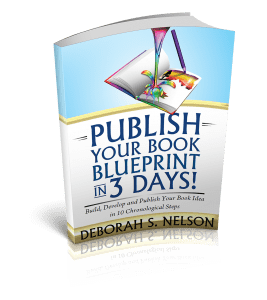 I have a new book coming out, called Publish Your Book Blueprint in 3 Days, which takes you through the entire self-publishing process with the outcome a published book blueprint of your book. This will give you a practice run, at the same time as providing you a complete format for what you’ll need to include in your book, in regards to front matter, blank pages, back matter, and page numbering protocol. The book will be available in a few weeks, so just get on our mailing list so you can order it when it comes out. Congratulations, and I wish you all the best! I am very surprised that you would recommend companies like Lulu and AuthorHouse. Ripoff Reports shows these companies to be among the absolute worst. Thank you very much for your comment. Let me first address RipOff. Ripoff Reports does not investigate the companies or complaints..they simply are a forum for people to make complaints. This means if someone had a bad experience for whatever reason, they can make a complaint at Ripp-Off. For example…I once ran vacation rental properties and one of them had skylights, which we bragged about on our booking site. One man who arrived at one of my vacation rentals claimed he needed to move somewhere else because he could not sleep-in due to the Skylights, and we brought over a couple of eye masks, and that still was not good enough. Further, we all KNEW there were NO hotels or vacation rentals vacant in that town at that time, and it was obvious that he wanted a refund because he must have found another family to stay with (a certain week where the town is booked up 8-10 months prior). After speaking with my attorney, I rightfully refused his refund (I could have rented the place 40 times over, having turned many families down to honor their reservation). The skylights were clearly advertised. Yet STILL, he wrote a RIPP-OFF Report, simply becuase he was angry that he did not get his way. So although you can read RipOff, I certainly would not make a decision based on the complaints there; but try to read between the lines. Now as for LuLu and AuthorHouse, these are some of the big players in digital publishing that have been around the longest. I do NOT agree that LuLu or AuthorHouse are “bad or scam companies,” either, although I do not use them. One of my author friends has published nearly 40 books with LuLu over the past 20 years and finds them to be excellent; and NOT a scam company. LuLu is, in fact, one the first print on demand companies around; although I personally prefer CreateSpace. Createspace was not establish when Bill Hood Books started publishing his books and LULU was among the very first Print on Demand options available. Having said all that…you have given me the opportunity to talk about the REAL PROBLEM, which is the learning curve in digital publishing. Many of these companies refer to themselves as “self-publishing companies” which is their biggest crime…in my book. They are simply print on demand companies. When you become your own publisher, who prints your book is one of hundreds of decisions that need to be made by you. These so-called self-publishing companies inadvertantly mislead novices with that terminology. People with little to no publishing experience with get the idea that all there is to pubishing a book, is getting it printed, and nothing else could be further than the truth. Digital publishing with print on demand printing method is pretty magical, but it is not magic! People don’t know what they don’t know! Like the guy who booked the condo with the skylights for that Air Force Academy Graduation Weekend, did not appreciate that vacation rentals are unique and not dark like hotel rooms; or maybe his wife booked it and he didn’t know about the skylights. Regardless if you don’t understand the concept that your are your own publisher when you print a book through one of these printing companies, that you are actually responsible for preparing the book for publication, which includes hundreds of other things besides the printing…then it becomes easy to blame the printing (self-publishing company) for all the stuff you don’t know and that they are not responsible for doing. To that end…on this site we have many (free) informative tools such as STEPS TO PUBLISHING A BOOK, Dictionary of Publishing Terms Self-Publishing a Book: Videos & Tools, and much much more. I’m a published author, but I’m not happy with my company. I’m looking for a “printer” who can print my novel so that I can sell them myself. The novel retails for $10.95 so I need a printer who can print the copies for around $5.00 each. The novel size is 8 n 1/2 by 11 in. and is between 350-400 pages depending on format. Can you recommend some reliable printers for me to contact. I’m a self-published author. I’m 19 years old. I decided to publish my first novel “Blood Ship” with Trafford Publishing. Everything was perfect (design, Customer service, payment plan and all) until the book was published. I decided to publish the book October 2014. And yesterday a friend of mine tells me that the book is available in Amazon. I got a little upset with that since I was counting on approving the final product before publishing. Today I got my copy. What really makes me angry is how they edited the book. Since I’m a Spanish Speacker who decided to publish in English I knew my story had grammar mistakes. So I Choosed a package that includes editing. The editor NEVER contacted me to disscus about the book. And the company never told me his/her name. And the final version of the book has grammar errors. I called and they told me that seems the books is available now nothing can be done. I’m so mad about it, because I want to write more books in the series and Im going to college to study writting this Fall with the goal of becoming a good author. And a debut novel with grammar error is a big dissapointment. 1. I am not familiar with Trafford Publishing, but it looks like they are a company who uses print on demand (Amazon) to help you publish, or “self-publish.” Whomever they are, if they have gone through the print on demand arm of AMAZON, you will always have the option to see a final proof (a physical copy) of your book prior to publication. It is just wrong that they did not send this to you. This was totally unprofessional, unethicial, and not up to any standards of the publishing business. 2. Editing and proofreading are two separate processes. There is also copy editing which handles formatting, spacing, and other types of issues. They may have done a content edit, but there may still be other spelling, or proofreading errors. In any case, you should always get a proof to sign off on, prior to publication. 3. Amazon has an option to RETIRE A BOOK. Since apparently, Trafford Publishing opened a print on demand on your behalf, you will not be able to exercize that option unless you contact Trafford Pubishing and insist that they retire your title. You don’t want that kind of work floating around, as it could potentially ruin your reputation as an author. 4. Get a few copies of your book and start all over. 5. I will personally teach you how to open your own print on demand account with Amazon, and you will take control of when it actually gets published, and you will order a proof and you don’t publish until your are ready. 6. Go to this link http://www.publishingsolo.com/book-publishing-coaching/ and sign up for complimentary coaching. Normally, I offer 20 minutes, but for your case, I will DONATE 2 hours of private coaching to get you on the right path. Self-Publishing is self-publishing. You should be in control of your own account. How are you to even know if they will report to you the proper sales figures? Once you have your own print on demand account with AMAZON, you’ll get directly paid from them for all sales. If you need more that 2 hours of private coaching, I will offer you the sliding scale. This mess must be cleaned up! Sorry you went through that; it’s not right, but I will teach you how to do this yourself and get it done right. I am more than a little bit puzzled. Why is it that you give the impression that “Publish Your Book Blueprint in 3 Days” is a book, when in fact it is an online course? I wanted to buy the book, but none of the hyperlinks I clicked on led me to a page where I could purchase the book! 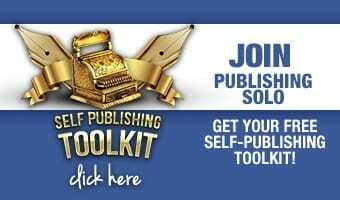 You state, “I have a new book coming out, called Publish Your Book Blueprint in 3 Days, which takes you through the entire self-publishing process with the outcome a published book blueprint of your book.” Is it that the book is not yet out? So sorry for any confusion. I have been using this curriculum in my courses and with private clients. The book just now came out, yesterday. I will be having my webmaster update all the links, but meanwhile here is the link to the book on our site at http://www.publishingsolo.com/book-blueprint-course-order-7. Also, now available on Amazon.com both nationally and internationally at http://www.publishingsolo.com/book-blueprint-course-order-7/ I really appreciate you writing, thanks so much! I wondered about the ISBN number when I decided to switch to Lulu. Blurb said nothing about an ISBN number. I know why now. They don’t distribute! This disappoints me big time. I want worldwide distribution! I can’t do it, so I wanted the publisher [printer] to do it. Lulu does, so I figured problem solved. Not quite! If I take the free ISBN from Lulu they claim to be the publisher AND insist that I submit to tax withholding. I am not liable for the income tax. I am NOT a corporation! [It’s a LEGAL thing!] I certainly am not going to allow a publisher-printing company to withhold ANY funds from me for illegal income tax purposes -since my books are “works of art” and not subject to the income tax. Like I said, it’s a legal thing. And a matter of legal principle. It looks like if I were to buy my own ISBN it would cost me big time. Like 99.00. This is ridiculous! I have high hopes but I am not stupid. If I were to acquire an ISBN for every book I intend to publish I would have a fortune just in THAT! Lulu also says, in its “agreement,” that I can only publish my book thru them. Since I already have the first edition published thru Blurb and have no intention of retiring that first edition, this makes it complicated working with Lulu. Thanks for your comment! Self-publishing can be so confusing. First of all let me explain the difference between LuLu and Blurb. 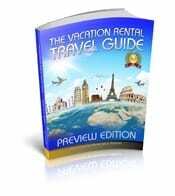 Blurb is a full-color format with a hard cover. This is an expensive proposition creating full-color and hard cover in the first place. Blurb uses high quality paper, which is also expensive. But with Blurb you can publish a full-color book with a hard cover. Blurb is best used for small runs of books for portfolio or family legacy purposes. My daughter created one that chronicalled the relationship of a recently married couple for their wedding gift. Blurb is really all about speciality gift books and is not a full blown self-publishing option. They are not connected in with the online booksellers, and do not promise you distribution in that way. Now, that’s one issue. I recommend Blurb for gift books, or legacy books, or even a portfolio situation where you only need a small run. Printing just one book only a few years ago could cost $5000 because of the set up-price with offset printing. Now that we have digital printing, to print just one four-color book for under $500 is nothing short of miraculous. Not sure about the contract with LULU, but let’s clarify about the ISBN number. You can become your own publisher and buy 10 ISBN numbers from Bowker Books for $275, making each ISBN number $27.50. However, if you buy one at a time they are more expensve. The ISBN number catalogs your book or books in the Books in Print which comes out once a year, and this is where book stores order their books from. I use Createspace. You own all your copyrights, and you can buy a custom ISBN number for $10 which will have your independent company name listed as the pubisher. Whenever a publishing company buys an ISBN number from BOWKER, they are automatically listed as the publisher. So if LULU gave you a “free” ISBN number its becuase they bought it from BOWKER and now BOWKER has your book registered with LULU as the publisher. They cannot help that. The bought the ISBN number so of course Bowker lists them as the publisher. I HIGHLY recommend Createspace. You can sign up for free from my site by clicking on the banner at the top of the page. You’ll need to decide if you want to be your own self-publisher, or if you want Createspace to be listed as your publisher. If you want to be listed as the publisher you need to register with BOWKER as a publisher so that they will list you as the publisher and purchaser of the ISBN numbers. It’s not LULU’s Fault that they are listed as the Publisher of your book. They simply bought the ISBN number from BOWKER and of course Bowker lists them as the publisher. If you purchase the ISBN number, and are registered as a publisher with BOWKER, then BOWKER lists you as publisher. I highly recommend if you are serious about selling your books to bookstores and online, that you register with BOWKER as a publisher, and buy your own ISBN numbers. Createspace has a relationship with Bowker that allows you to purchase a custom ISBN number through Creatspace but with your Publisher Imprint on it, as long as you have an acccount with BOWKER. As far as I know, LuLu does not have this option. If you are serious about selling books, you need your own INDEPENDENT Publishing Company, with your own ISBN numbers for your books. The bookstores are very difficult in accepting books published with the Createspace or other “so-called” self-publishers. If they see a publishing company name on the book, they are most likely to carry it as long as they do not know that one of the “self-publishing” companies printed your book. Thanks for writing! Xlibris is O.K. However, there are print on demand options which are less expensive. If you are not doing a four-color or hardback book, you might look into some of the print on demand options before going with a short run type publishing company. You may contact me for a complimentary half hour publishing coach consultation, at http://www.publishingsolo.com/book-publishing-coaching. This final decision really depends on what your book project is like combined with your personal goals and professional needs. I offer complimentary publishing consultations for half hour on Mondays, but You’ll need to schedule a time with me. I have no idea who the best publisher is for your book until I know more about your specific book project. For example, is it four-color? How many pages is it? What are your goals with publishing this book, to become a best-seller or just make a few copies for friends and family? There is no way to intelligently answer this question without knowing the answer to these questions and more. Also, before making a free consultation appointment please read the following articles: Publishing Companies to Avoid, and Choosing the Best Self Publishng Companies To schedule a complimentary publishing consultation, go to Half-hour Publishing Consultation Keep in mind with a self-pubishing instruction, we are not a publisher and all your copyrights and royalties belong to you. The only contract you sign with us, is your Intent to Publish Agreement where you become the publisher and all royalties and copyrights remain with you. Yes you can. You can self-publish by using one of the many print of demand companies. Alibaba is “just printing” your book. However there are many more phases to publishing a book that just printing it. I would say printing it is one of about 7 major different processes that you have to go through to get a book published. I am going to suggest reading the article on 10 Steps to Self-Publishing Parts 1 and Parts 2 before embarking on this journey. Even though you have only 10 pages, you’ll have to go through the same exactly processes that a book of 400 pages has to go through. You’ll still need an intriguing cover design, a copyright page, author bio, synopisis of the book, title page, etc. Consider taking the Bookblue Print Course (Online) to give yourself a practice run-thorough of the self-publishing process. Thank you so much for the information provided here. I am currently working with a self-publishing company to publish a young adult novel that isn’t finished nor Christian based as their main theme publishing is. The sales associate assigned to my account is always calling and emailing me with the publisher’s discounts. All this is enticing, however, I don’t feel comfortable parting with a chunk of money when my manuscript isn’t complete. The associate keeps telling me that it doesn’t matter and I should take advantage of the offer of the discounted rate. Is this “enticing” common practice? Is paying up front for services when a manuscript hasn’t been completed? I realize that it’s the sales associate’s job to sell the packages (at a discount), however, I am feeling pressured and uncomfortable about the situation. I am very concerned with the way this sounds. If you are feeling pressured and uncomforatble about the situation I feel you should put the brakes on. I worked for Focus on the Family Book Publishing and when we published a Christian book, it was Christian. Please go to this link (http://www.publishingsolo.com/book-publishing-coaching/) to schedule a free consultation with me. I do them on Mondays EST as a service, so please let me know what are your best times for the session on the nearest Monday; and we’ll get to the bottom of this. What can you tell me about Page Publishing? Any thoughts or opinions on their reputation? I have been in contact with Xlibris and am just trying to compare. I already use Createspace and have no issues with them. Thank you. I would stick with Createspace. Xlibris is solid, and I am unfamiliar with page but they do require a certain print run, and usually several thousand dollars out of pocket. As you know with Createspace you only pay as the books are sold, insuring your a profit. Investing money in inventory unless you already have buyers for these books, is not a wise use of your money/resources. Please take advantage of my free consultations on Monday, by writing me using the contact form for a convenient half hour on MONDAYS EST. I would love to help get you pointed in the right direction, but I would need to know more specifics about your particular book project and your personal goals. OMG. Like i have told Sean, contracts for “self publishing” are really scarry. Be sure you are not signing away any royalties or copyrights. That is Number one. And also, be aware, that as the author, you are the Publisher in these cases. They are only printing to book for you. All of the processes, from creating the book cover design, interior design, author bio, back cover copy, book synopsis, have to go through you anyway. These companies usually require you to buy an initial print run, which is unnecessary expense these days when you can do print on demand. As the author/publisher, you have to make all the decisions on everything so to hire one of these companies is putting a third party in the middle, and also you are risking some of your copyrights, and royalties. In the end, you hare responsible for promoting your own book, and not them. Unless they get a stake in the royalties they will not be investing a lot of money in moving your books. Anyway, the best things to do is learn how to do this yourself. That is my opinion. My schedule is full for private clients for the next few months, but I do half hour consultations and I can advise you, once I know more about your book project. Fill out a contact form, and let me know what hours on MONDAY EST you are available and I’ll give you a half hour publishing consultation session. I need to know more about your book project. I have found your website to be very informative. I was wondering what you know about Tate Publishing. Like a few other companies you have mentioned, they have seem to have a lot of “bad press” by novice authors who have used them and believe them to be “scamming” them. However, other authors seem to speak very highly of them. I sent a copy of my novel to them, and they have contacted me with a contract offer which claims to be “all-inclusive (publishing, distribution, and marketing). The contract states that for a one-time charge of $3990, i can publish as many novels with them during my lifetime as I want. Because of so many mixed reviews, I’m very wary of going with them (I haven’t signed/agreed to anything yet). I have been doing research all day, trying to find something that might be the key to making a wise decision. Your website seem to be that key, and for that, I am truly grateful. So, any advice or knowledge that you can provide would be most appreciated. I am wary of contracts with “self-publishing” companies, and I think that whole “self-publishing” model stinks. The truth is the self-publisher is the author (not someone else). Someone has to take charge of the the ublishing decisions and no matter what that is you anyway! So why are you paying someone else to do what you will inevitable have to do anyway. You are inserting an unnecessary third party into the mix. Outside of having my attorney look at your contract, I can guess, that you might risk giving up your copyrights and/or some or all of your royalties when signing with companies like these. The other thing is $4000 is a lot of money on one hand, but it is a reasonable amount to cover the cost of printing, the book cover, the interior layout, and that is about it. It certainly is not enough money to market your book and it feels to me like they are totally “over-promising.” How can they in good consciousness say, that you can publish as many novels with them during your lifetime? I mean, how many companies last a lifetime? I do not think that they can guarantee that; and that makes me wonder right there. What I do, here in Publishing SOLO, is I teach you how to become an independent publisher, and you keep all royalties and all rights. There is no contract per se, only an agreement to do your homework. The honest reality is that as the author/publisher you have to be so involved in the publishing of the book, to pay someone else to take care of these details for you is rather redundant. That is why I teach, and coach, and do not publish any books for you. I suggest that you contact me through the contact form on the site, to set up a complimentary half hour session, and make some decisions based on that. No charge for half hour. My schedule for private clients is full, but you can buy the BOOK BLUEPRINT book for $40 and learn as much as you can first. My next book is coming out and that will walk you through the entire process and you can do it for as little as $500-$1000 (you’ll have to hire a cover designer, interior designer, sales copy writer for the back over, head shot photographer, and printer). I have a book almost ready to go and I have been looking at some of the print on demand companies. However its both confusing and upsetting. I wanted to see my book on the shelves of book stores, but as I have talked to a few companies they say its up to me to talk to the store managers to get it in the store. How can I go to every store to get this done? 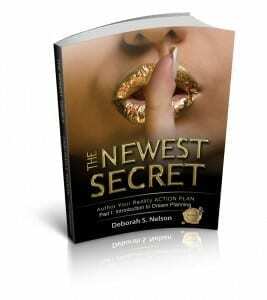 I’ve been looking for a company that will help me get my book both on line and in the stores. Do you know of a company that will do that? I know that you recommend createspace but that’s only on line right? There are THREE parts to a book project: 1 WRITING THE BOOK; 2. PUBLISHING THE BOOK, and 3: MARKETING THE BOOK. The questions you are asking are in the marketing are of the book project. It is difficult to give you a simple quick answer here; because a lot depends on your particular book project, your goals, and your marketing budget. But let me say this…consider WHY do you want your books in bookstores, when only about 17% of books are actually being purchased in bookstores now? The majority of books are bought online, mostly through AMAZON. So WHY in the world would you go to all that time and expense of getting your book into bookstores when hardly anyone is buying books in bookstores anymore? Borders went out of business in 2011 and that is precisely why. The other big book chain my soon follow them. The world of publishing is going through a huge transformation and if we don’t move into the 21st Century, we’ll find ourselves on the outside. Having said that…I do half hour consultations for free, and I’ll be happy to do one with you. just contact me through the contact form and let me know the hours on Mondays that you are available. Hello Deborah, I am a published author : ” Skin and Beauty Wisdom”,Gabriela Voiculescu. .I am from Europe and I wanted to share the long time beauty advices with the American people. I used Authorhouse for publishing. The cost of my book is ridiculous high :$ 47.99/book. I have people complaining about this all the time . Please recommend me a company that will publish my book at a much lower price. I am going to send a letter of intent to Authorhouse and get my file back. It belongs to me . My book is on Amazon.com for $3.99/copy and hope to maintain Amazon distribution form. It is soft cover and color pages. I realized you have an amazing heart,trying to help people( I read all the posts). I am not sure when to check for your answer,but I will look everyday. I wish people would talk to me BEFORE they go to these so-called “self-publishing” companies. THIS IS CRAZY, $47.99 per book, insane! Anyway, on Monday’s I can give you free consultation for half an hour. I need to see your book project before making a recommendation. Please write me using the contact form so we can exchange SKYPE addresses and set up a consultation for next Monday. That sounds like a very interesting book, by the way! I am not sure if your file is going to work at another company. Let’s see what we can do to move you beyond this disaster!